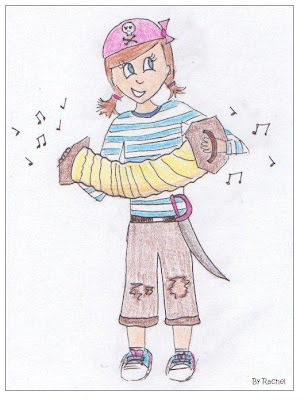 Schell Games Art Blog: you gotta have a girl pirate! Awww...the bard of the ship. Nice work! Those tenni-shoes are very time accurate.